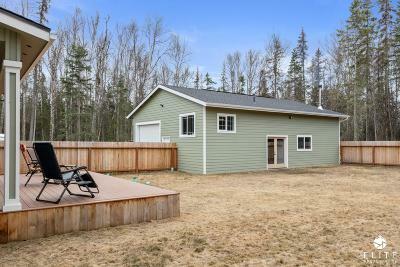 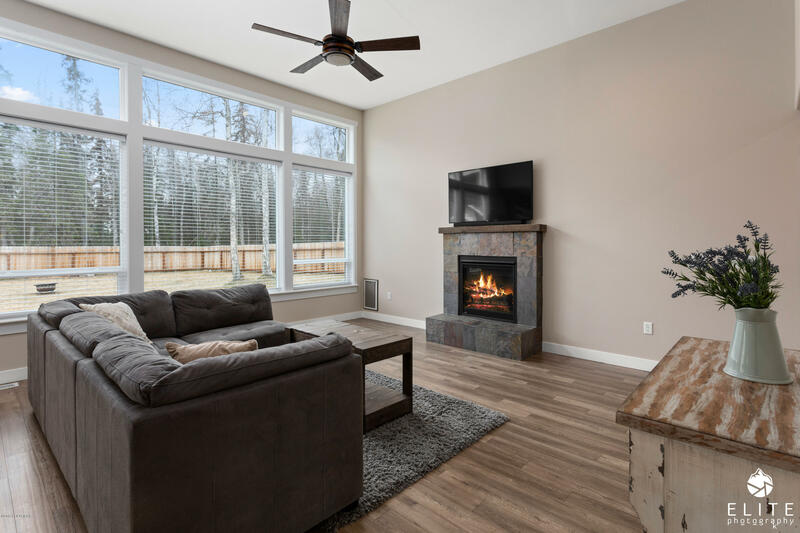 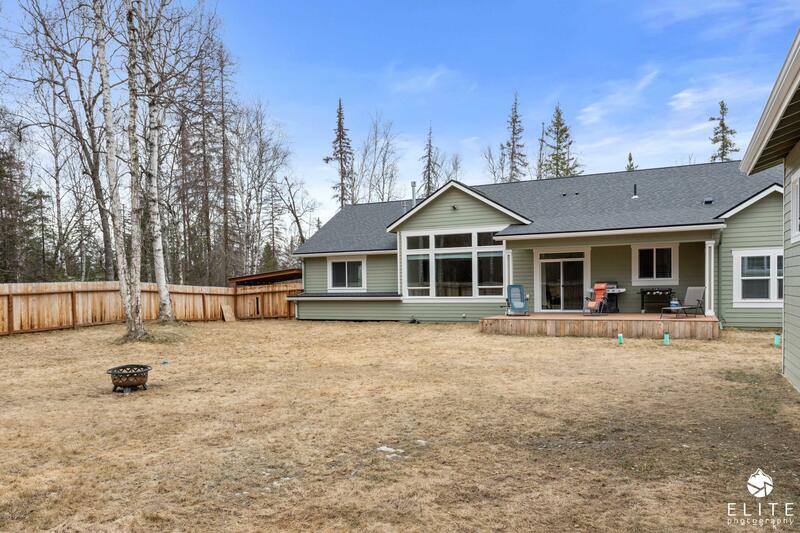 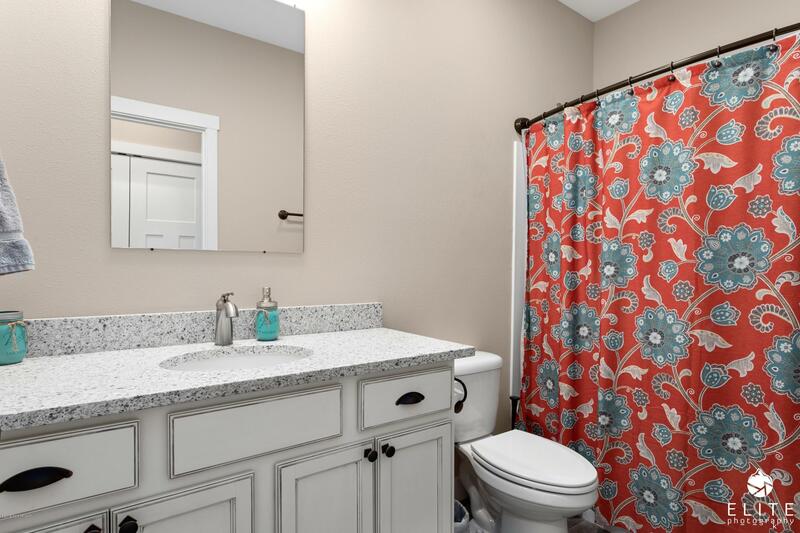 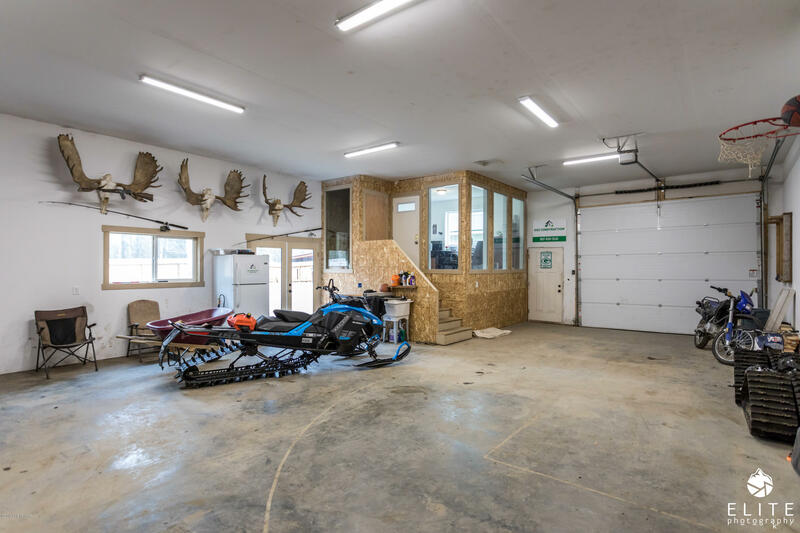 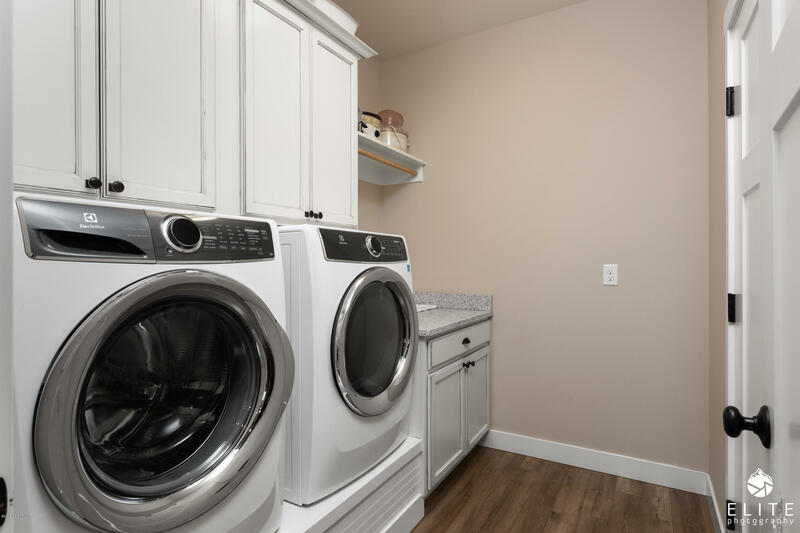 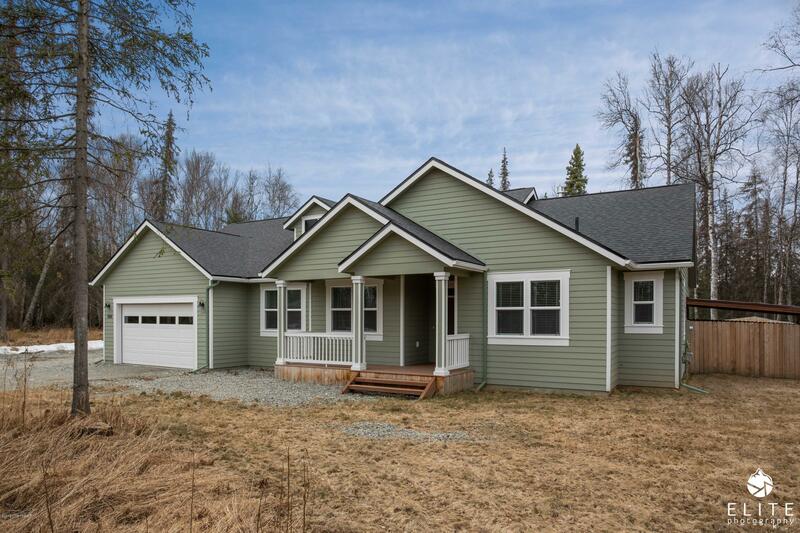 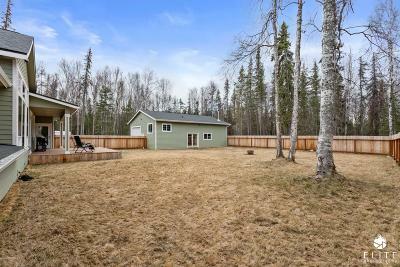 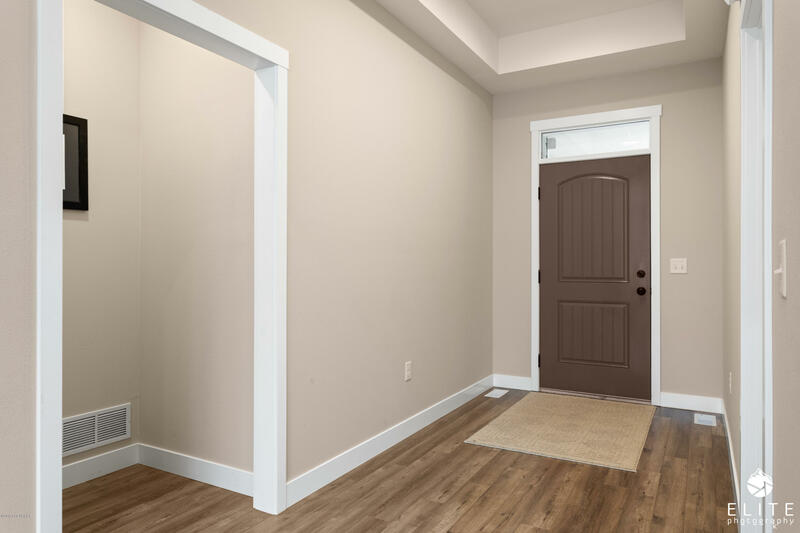 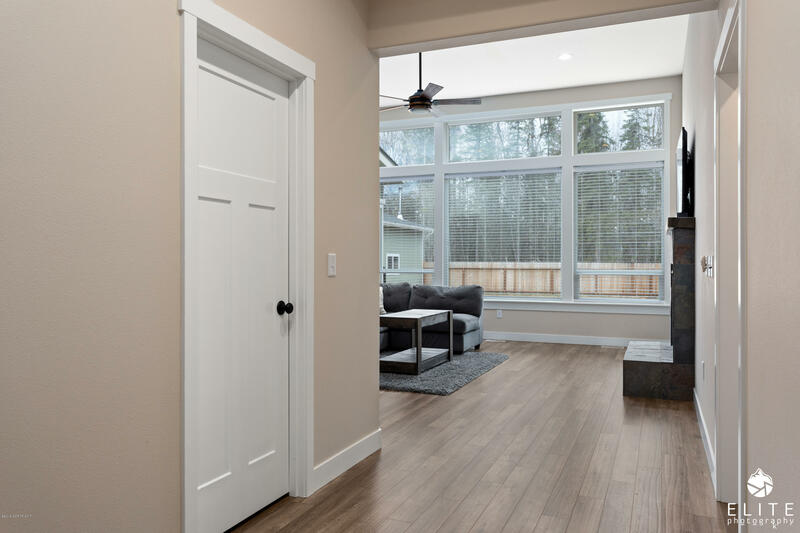 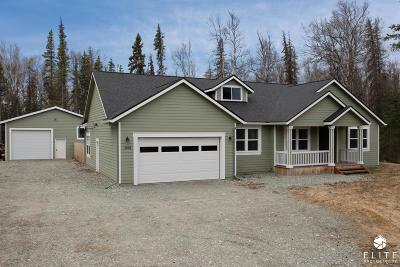 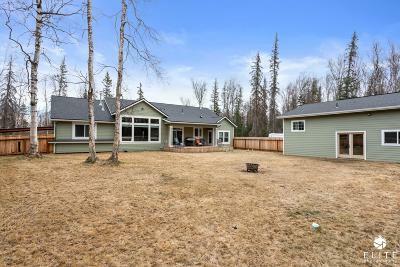 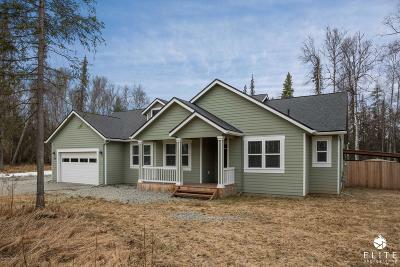 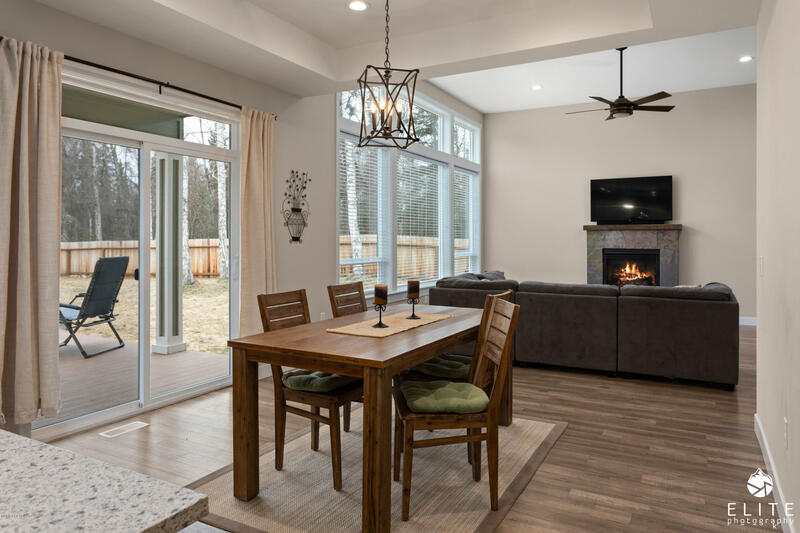 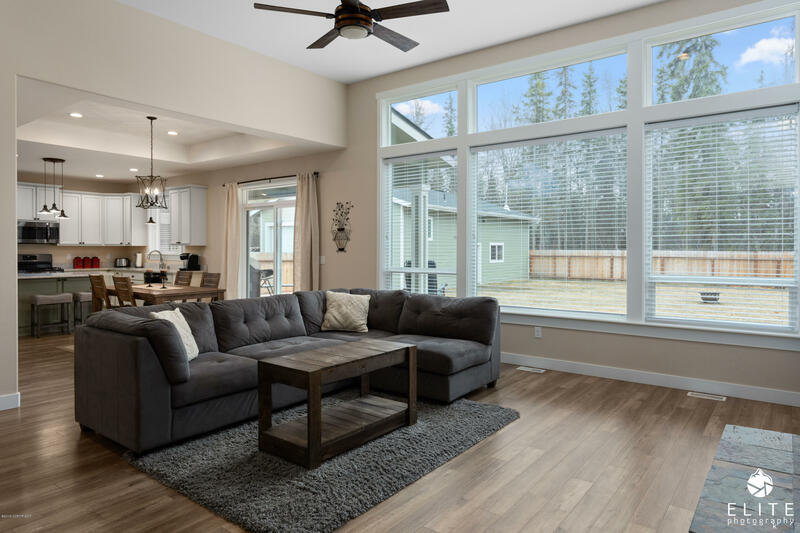 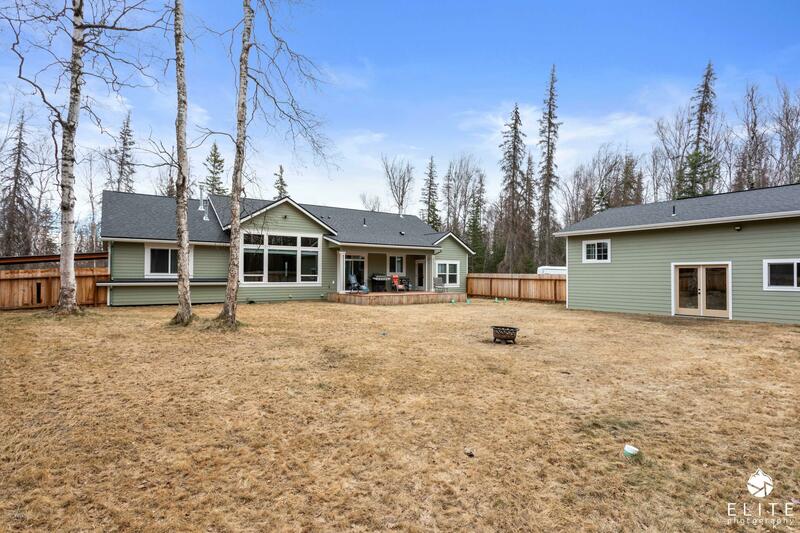 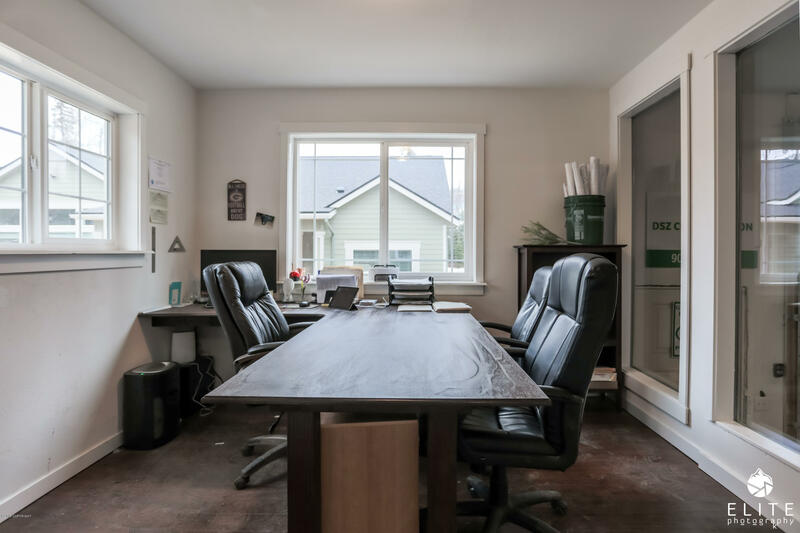 2838 N Kyle Circle, Wasilla, AK.| MLS# 19-5371 | Mossy Oak Properties | 907-357-5100 | Wasilla AK Homes "For Sale" Alaska Businesses "For Sale"
One of a kind design home sure to please the whole family. 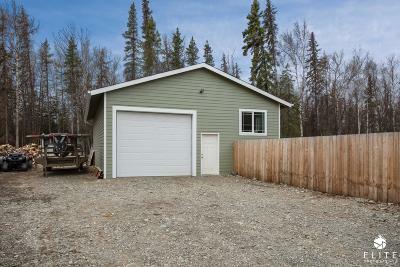 3 BEDROOMS + BONUS ROOM which can be used for a 4th bdrm/office/craft room. 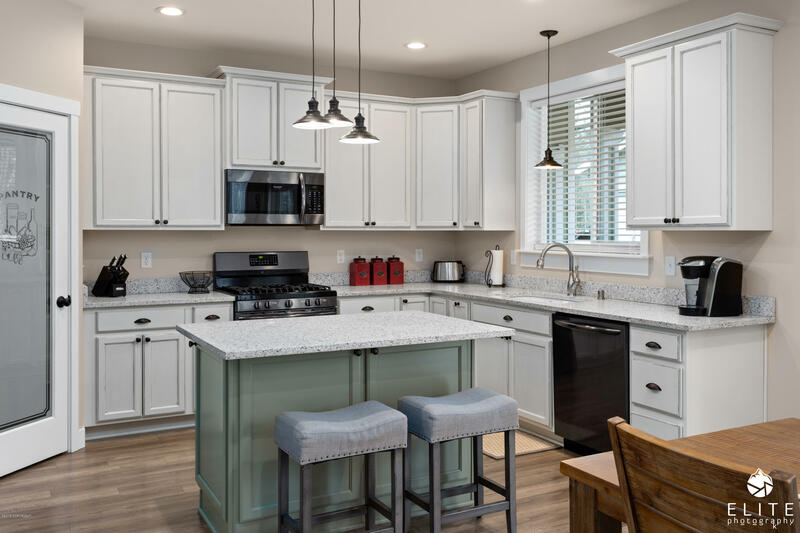 Cottage style kitchen w/coconut color antique look cabinets & sage green island. 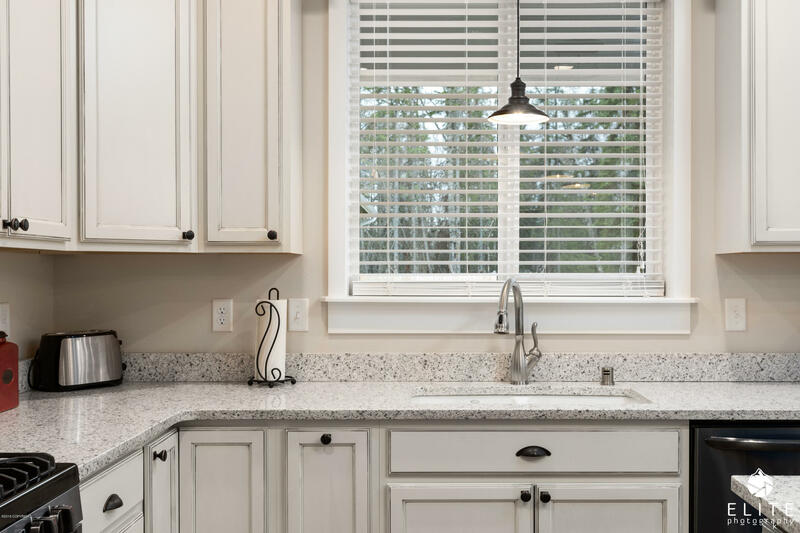 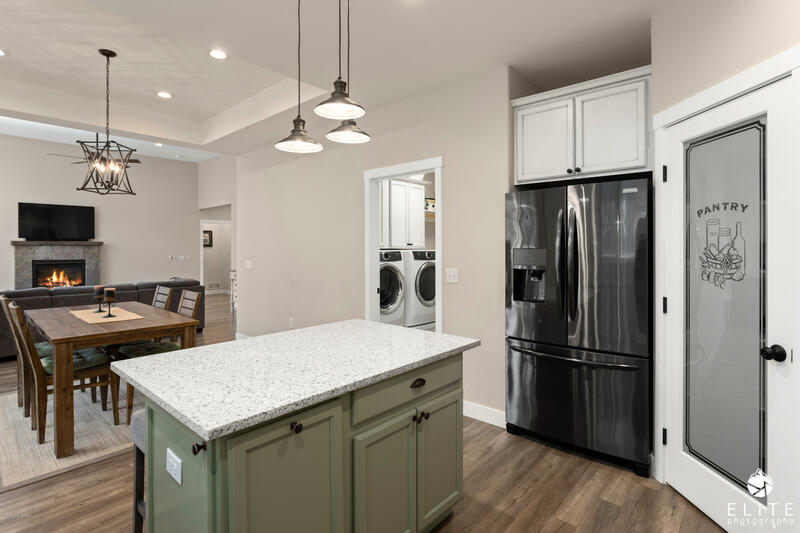 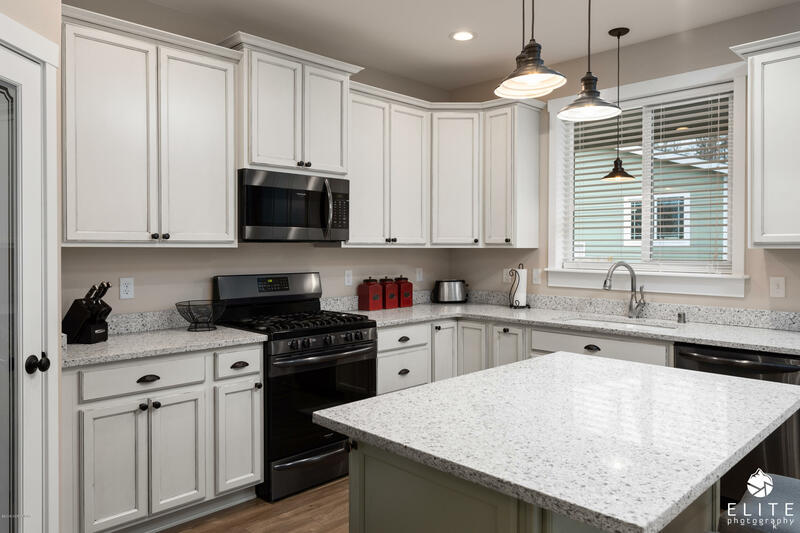 Slate color appliances, large pantry & quartz countertops. soaring 12 ft ceilings in the living room & a wall of west facing windows let sunlight flood in. 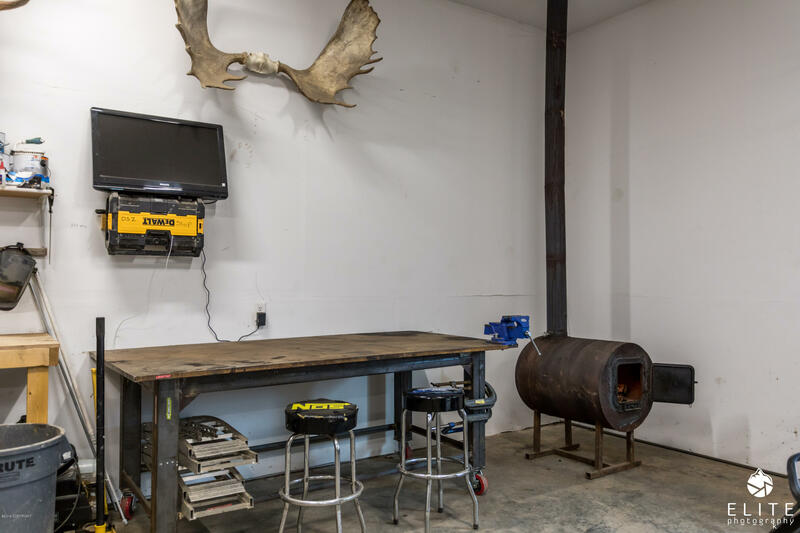 Barn wood look laminate throughout.Separate 1200 sq ft shop could hold 3 cars & has an office in it. 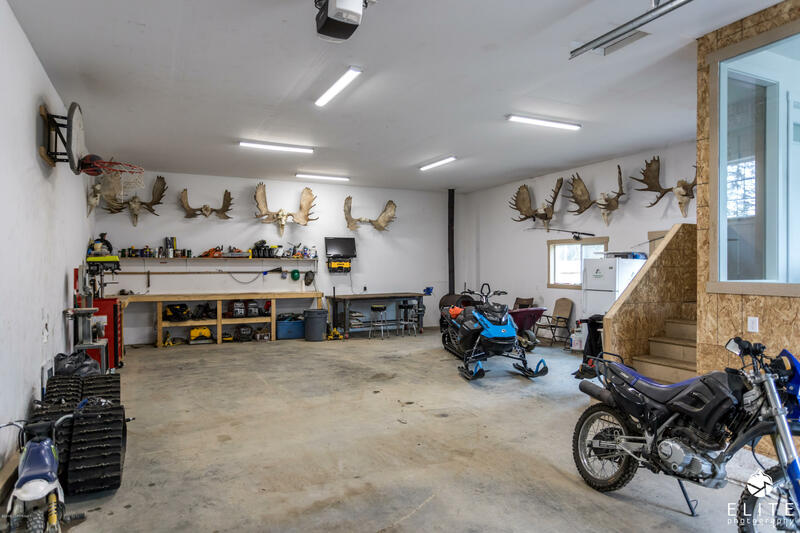 A guys dream garage and man cave extraordinaire!! 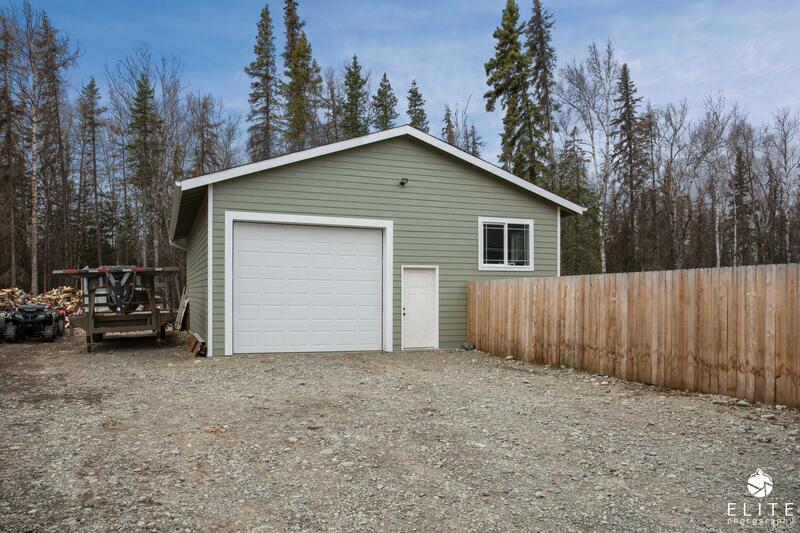 The garage attached to the house is 680 sq ft. 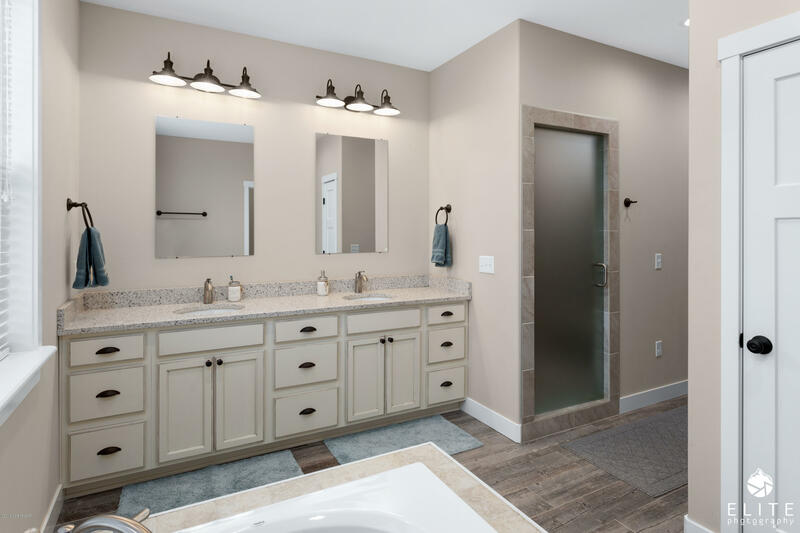 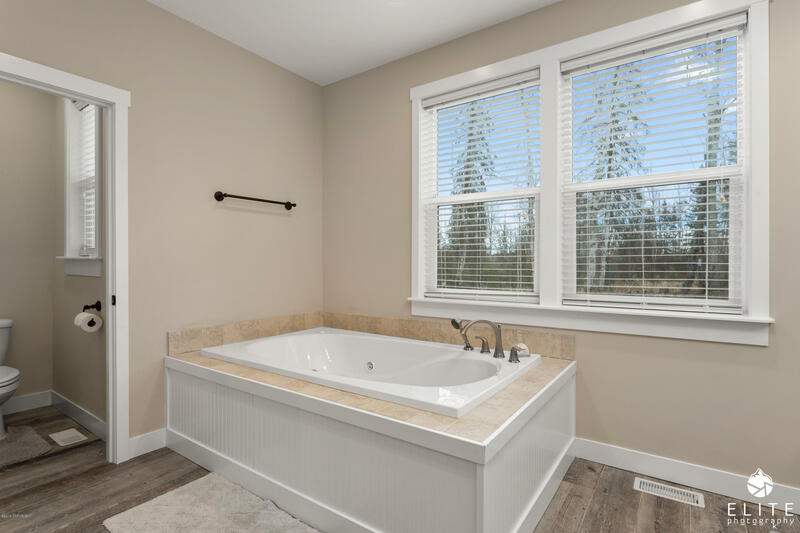 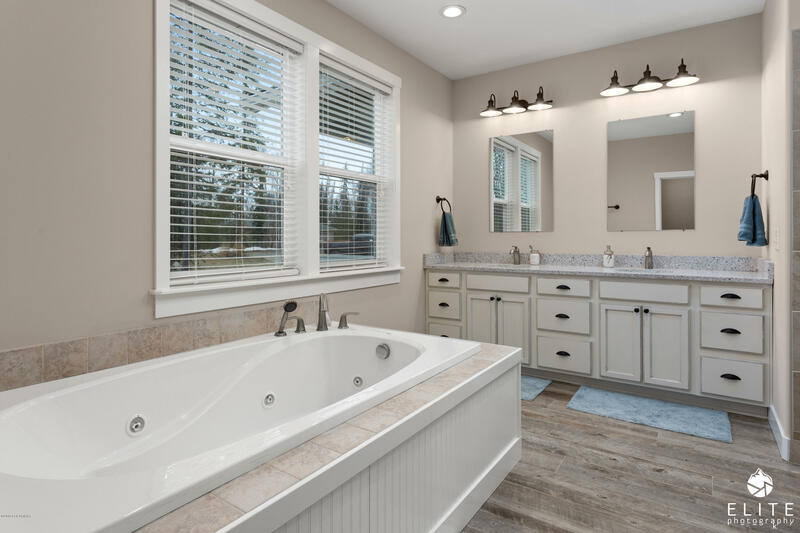 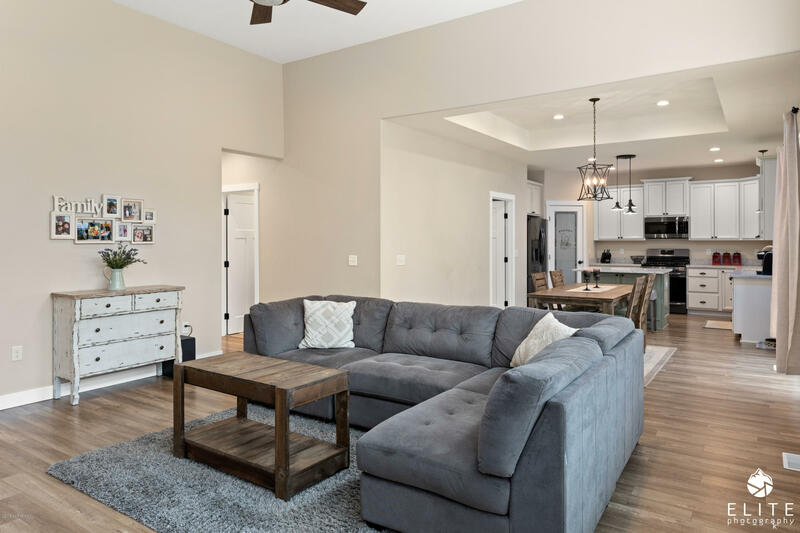 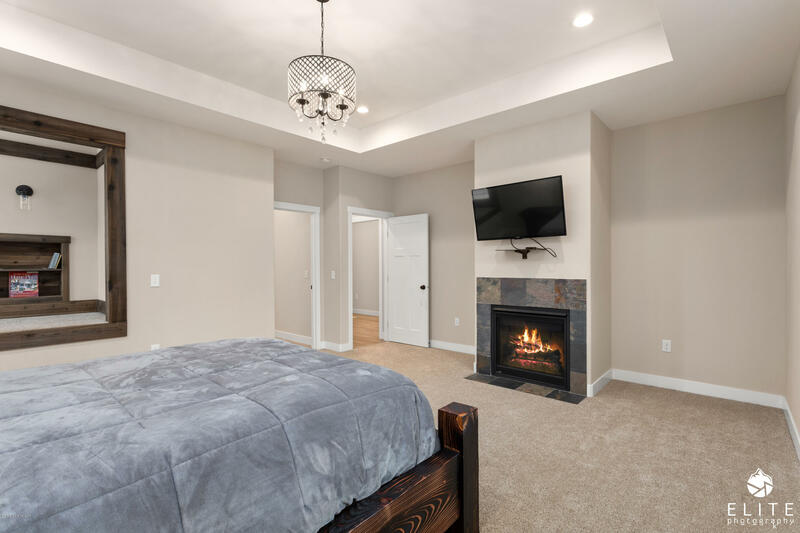 The master bedroom has a coiffered ceiling, fireplace, huge master bath with steam shower, jetted tub, double sinks, linen closet and walk in closet. 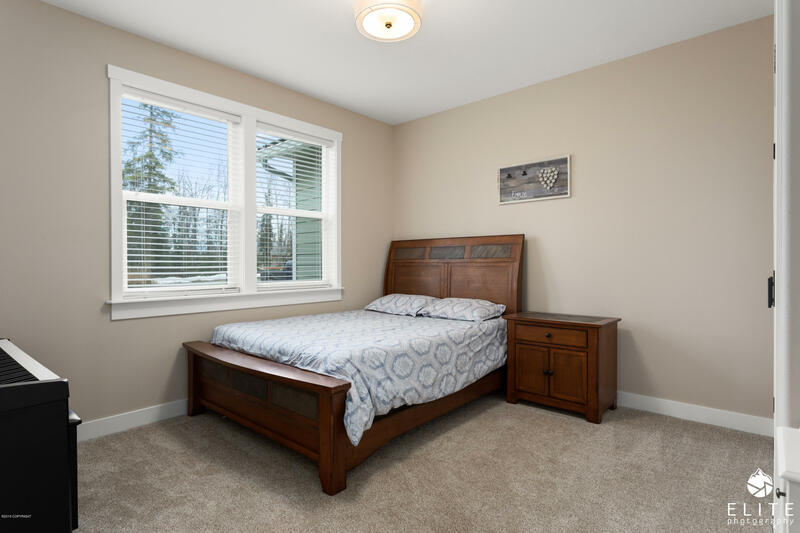 It also features a replica of an adorable window seat posted on pinterest w/room to lay down & and a built in bookcase. 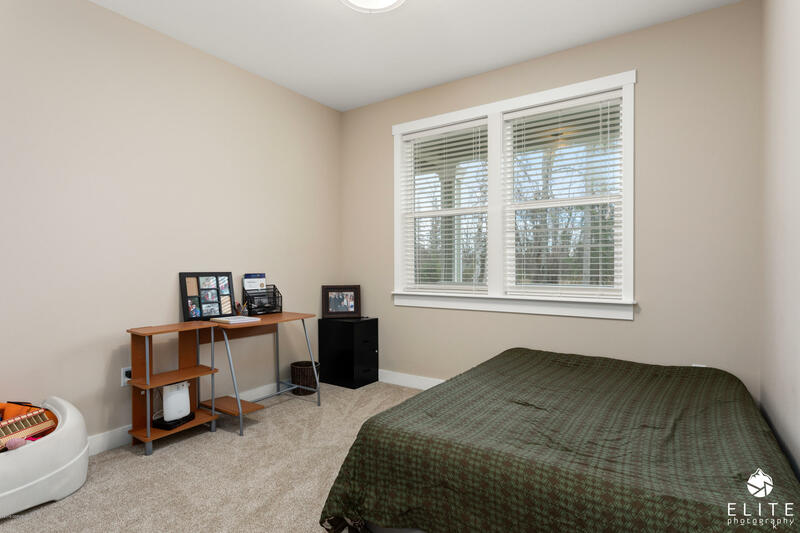 The other two bedrooms are a very nice size, not small. 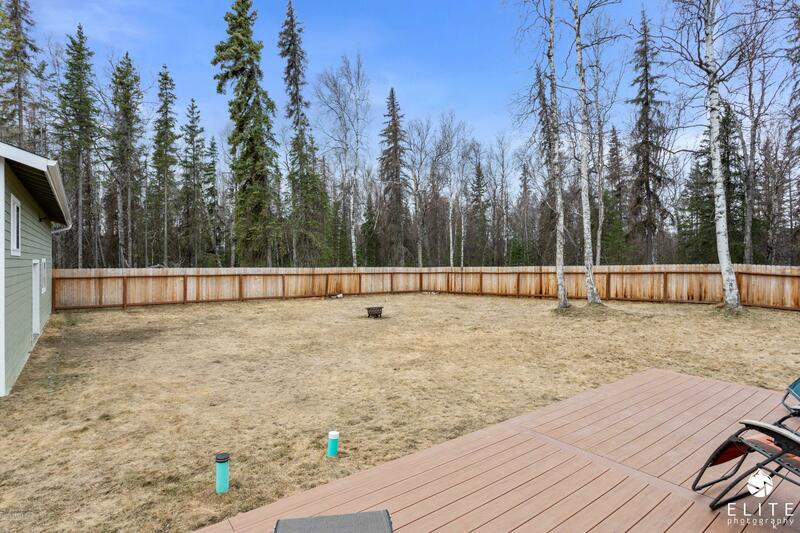 Large fenced grass yard, 22X18 west facing deck for BBQ's or sun bathing. 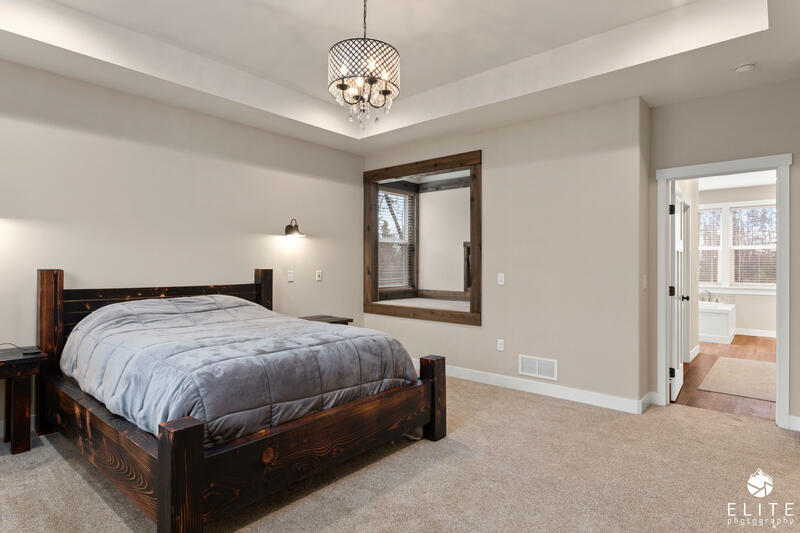 9 ft ceilings throughout rest of home. 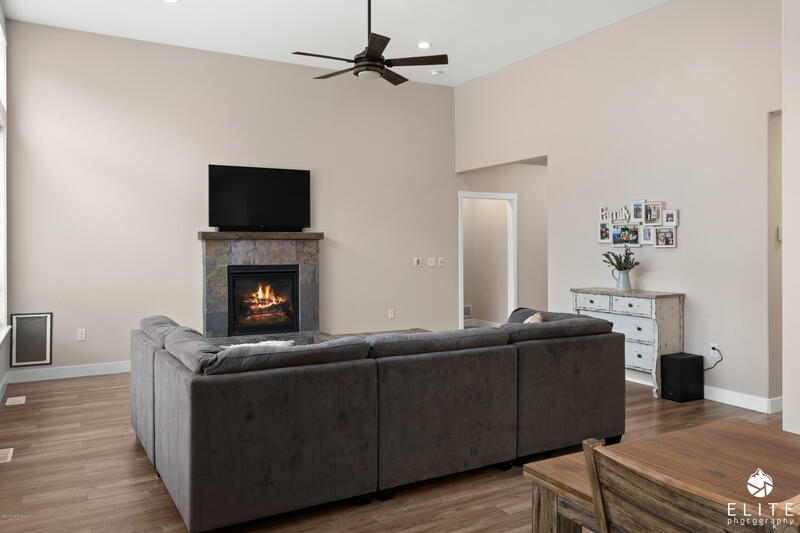 Bonus room off of garage was built to be a art room & music room but could be an add'l bedroom, workout room, craft room, home school room, office-lots of options. 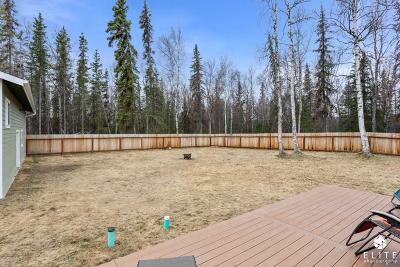 Very safe, quiet, clean neighborhood with gated access and CCR's to protect the property values-but not so strict you can't enjoy your property.